This is the link to our Fundraising page for our 2-way Channel Crossing in July 2013. Our Chosen Charity is Down Syndrome Ireland, with funds going to Early Development and Adult Literacy Programmes. 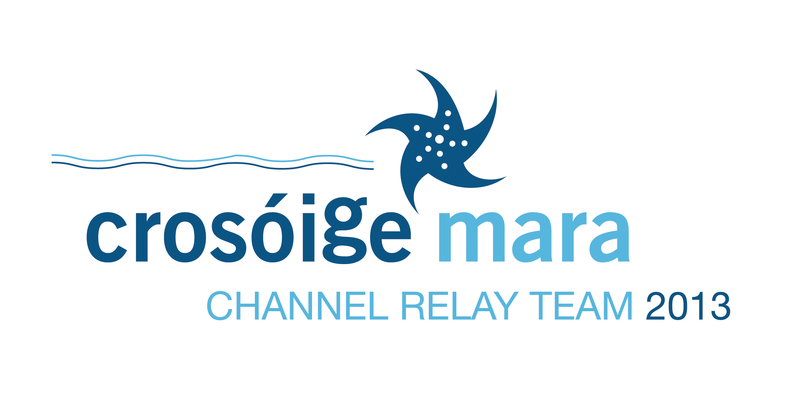 For our Non Irish speaking Friends…… Crosóige Mara translates to Starfish! Owen OKeefe, Lynne Lynch, Eoin O’Riordan, Caitlin Desmond, Carol Cashell, Maeve Ryan. Photo taken by crew! Lisa Cummins. follow us on @crosoigemara on twitter & Crosoige.Mara on Facebook! 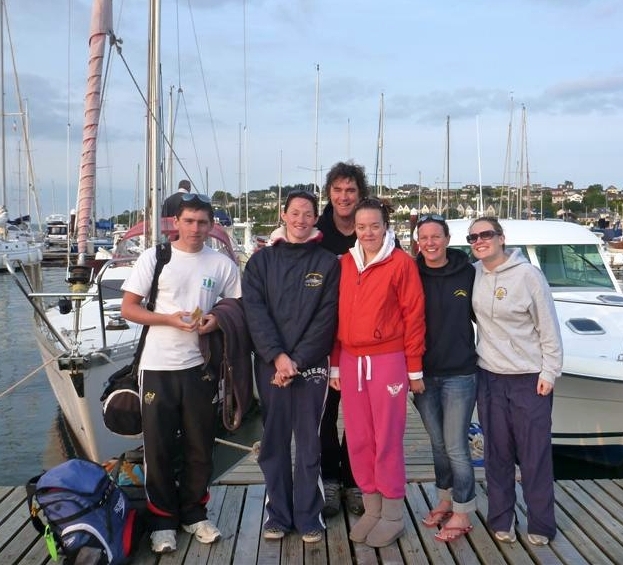 We are a group of 6 swimmers who have endeavoured to swim a 2-Way crossing of the English Channel in aid of Down Syndrome Ireland to raise funds for their Early Development and Adults Literacy (LATCH-ON) programmes. Our window of Opportunity for the swim will be from 9-14th July (Weather dependent!). Carol hails From Carrigtohill in Co. Cork and swims with Dolphin Masters SC as competitive pool swimmer and now turned open water swimmer. Carol coaches Dolphin Masters SC and has completed numerous long distance open water swims including the Cork to Cobh (16km) in 2010, the New York Hudson River (10km) in 2011 and Lake Zurich (26km) in 2012. Another great achievement for Carol will be her “Around Manhattan” swim in June 2013. This is a gruelling 28.5 miles of which all funds raised will go to Down Syndrome Ireland aswell. Caitlin is the youngest member of our team and hails from Rylane in Co. Cork and swims with Dolphin SC. Caitlin is also a competitive pool swimmer turned open water swimmer. Her love of long distance events has lead her to join this Channel Relay. Caitlin will be completing her Leaving Certificate in June 2013 and feels the training will be a welcomed break from the books. Lynne hails from Dublin but is now currently residing in Ardmore, Co Waterford. She swims with Dolphin Masters SC. Lynne is an Engineer with the Irish Naval Service and with her natural love for the water and we are hoping her sea expertise (and navigation skills) will come in useful during the team’s days at sea. Lynnes new Twins, Katie and Lucy will be at home shouting for mammy! Owen is from Fermoy in Co. Cork and swims with Fermoy Masters SC. Owen successfully completed an English Channel Solo swim in September 2009 while aged 16 in a little over 10 hours. He is ready to go back and conquer the 2way crossing as part of the relay this time. Owen can be found swimming around Islands during summer months…ever the explorer and his previous experience will be invaluable to the team. After the Relay swim he heads to Jersey to swim the 20+ miles around that island! Eoin is living in Kinsale, Co Cork and in a member of the Sandycove Island SC and committee. Eoin is a frequent swimmer around Sandycove keeping many a swimmer company on the days when no one else will!. Having ‘ditched’ the wetsuit for the Relay, Eoin is really looking forward to joining the list of Sandycove swimmers who have been in the Channel. Maeve is from Killoscully in Co. Tipperary and swims with Dolphin Masters SC. Having moved to Cork in recent years, Maeve got “introduced” to sea swimming and as with most distance swimmers she finds the long training “fun” – well more in the pool than sea!. On a bigger note, Maeve gets married in August 2013 – only 3 weeks after the swim! The English Channel often referred to simply as the Channel, is an arm of the Atlantic Ocean that separates southern England from northern France, and joins the North Sea to the Atlantic. This distance is 18.2 nautical miles which is the equivalent of 21 land miles. 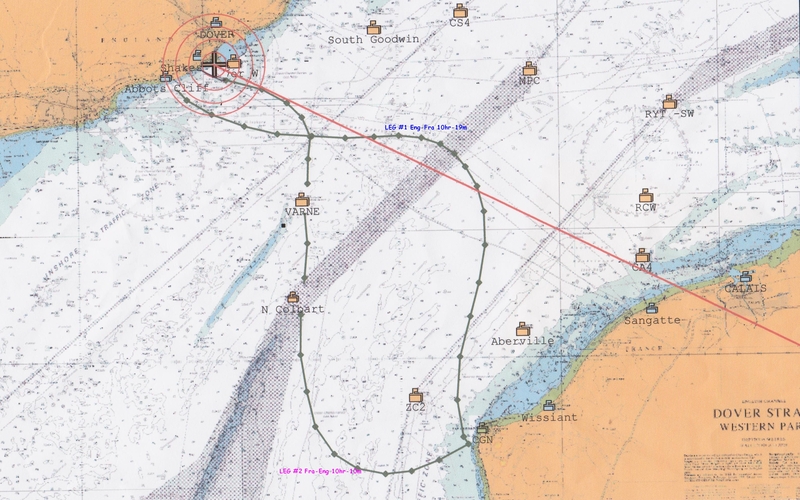 Channel Traffic: The English Channel is one of the busiest shipping lanes in the world, with approximately 600 vessels moving up and down each day, along with ferries, seacats and jetfoils crossing between England and France at regular intervals. Hazards: The Channel has quite a lot of hazards such as seaweed, flotsam and jetsam (rubbish and timbers, etc.). It usually has a swell and when the wind is in the opposite direction to the tide it can become quite choppy. Weather: The weather is always an uncertainty and local conditions can change in a very short period of time, often as fast as 30 minutes. The swim is every bit a mental swim as well as a physical one, and the swimmer must be both mentally and physically attuned. There is also an element of luck involved in getting everything to fall “right” on the day. Water temperature: This is between 59°F and 64.5°F (14°C to 18°C). The temperature is around 58°F to 60°F at the end of June beginning of July, then rises slowly to 64/65°F by the end of August beginning of September. Air temperature: Air temperature will also play a significant role during the Channel swim. A swimmers body heat is lost from parts of the body exposed to the air. The colder the air, the more heat you will lose. The longest day of the year around the 21st June, sees sunrise at around 03:30 with sunset at around 22:00 hours. The average night time temperature during the swimming season ranges from 10.6°C to 13.9°C. 1* Each standard team shall consist of 6 swimmers each swimming for 1 hour. 2* Each swimmer shall swim for one hour each time he/she enters the water. Team members shall rotate in the same order throughout the swim.